The evolution of democracy speeds up during eras such as The Enlightenment, when many people rejected blind faith, obedience, and ideology for the hard mental work of rationalism, skepticism and empiricism. Here is one outstanding example. 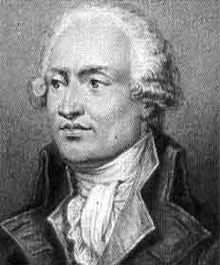 Born in 1743, the Marquis de Condorcet became an eminent mathematician, elected secretary of the Academy of Sciences and a member of the French Academy. During the French Revolution he was elected to represent Paris in the Legislative Assembly and became its secretary. He advocated women's suffrage, the separation of church and state, state-supported education, and the abolition of slavery. He was chief author of the Address to the European Powers, and the declaration calling for suspension of the King and summoning of the National Convention -- to which he offered a constitution supported by the moderate Girondins. The aggressive Jacobins defeated that constitution and outlawed Condorcet for his forthright advocacy of political moderation. In 1794 he was arrested and in two days he was dead, perhaps from poison.